UNI-T’s UT210E is a mini 100A True RMS auto range digital clamp meter with 2000 display count and VFC function. It is designed for use in narrow spaces where exact True RMS measurements are required. 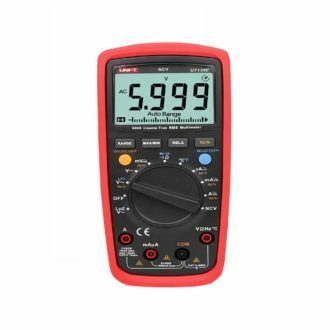 Overall it’s a small device that fits well into the hand and is designed with a wide variety of functions that are hard to find in a clamp meter and has an easy to read LCD screen with a backlight.